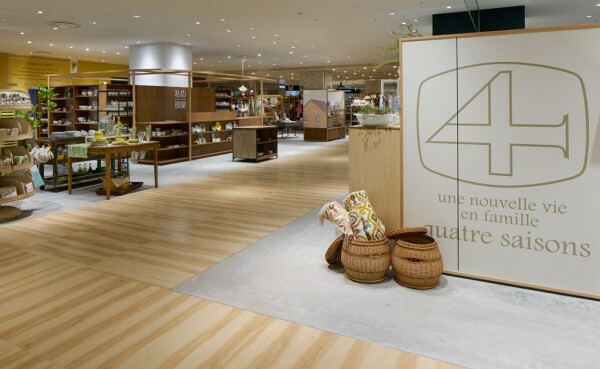 Watashi no Heya Living is a furniture and household goods company located in Jiyugaoka, Tokyo that owns the "WATASHI NO HEYA" and "atelier quatre saisons" brands set to open shop in the LUCUA 1100 shopping center and for which we performed the interior design. The two contiguous lots share a path between them and we were tasked with creating a space sharing common features while maintaining the individuality of each brand. 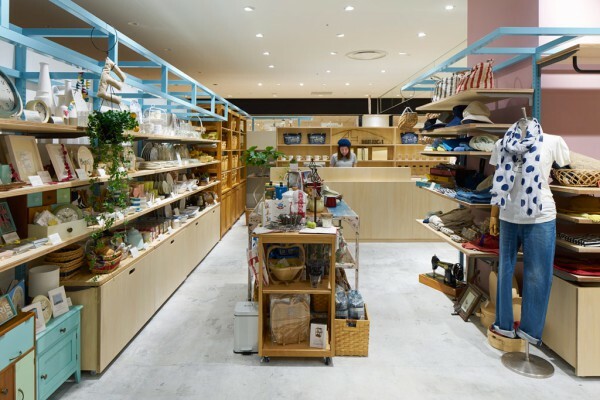 "WATASHI NO HEYA" is known for items that mesh fresh ideas into everyday Japanese living, whereas "atelier quatre saisons" offers household goods brimming with natural Parisian appeal. 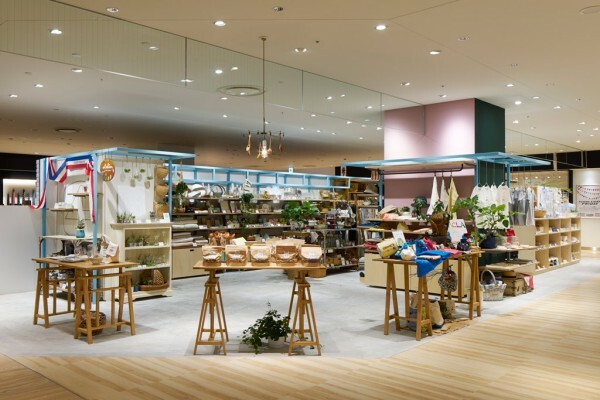 Both brand's proven flair for item development allowed us to use their products and furniture as displays, which led us to envision a store where one can freely put items on display as if coordinating one's own room. 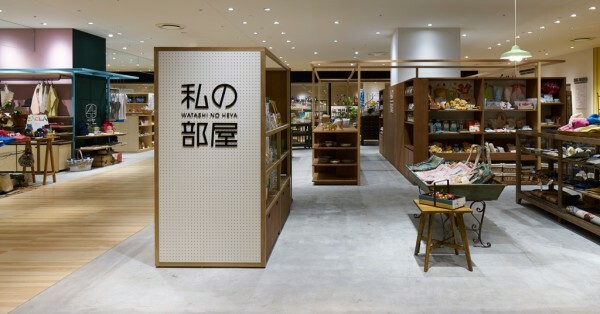 Japanese ash wood frame fixtures are found around a central white column and at various points throughout the "WATASHI NO HEYA" store. 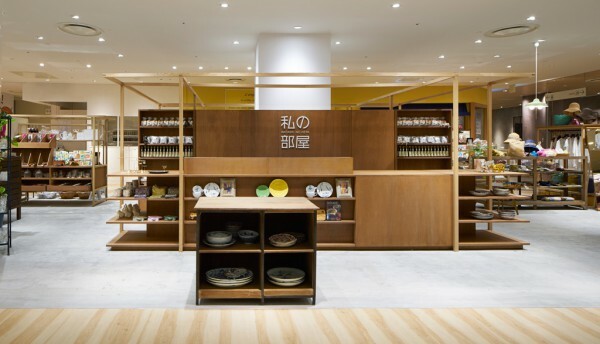 While both materials exhibit affinities, the walls and shelves made from thick lauan wood create a contrast with the light tones of the fixtures that feeds back to the Japanese style products on display. 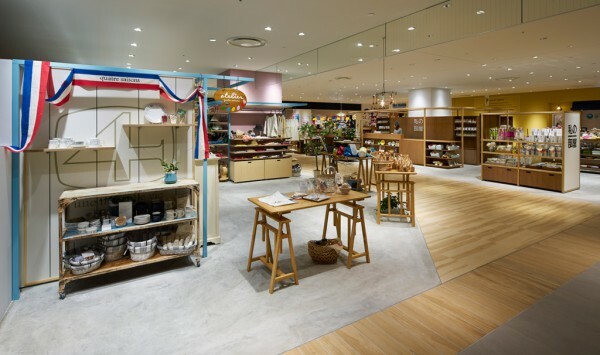 Moreover, these fixtures can be hung freely and help accentuate said products by creating a frame around them. 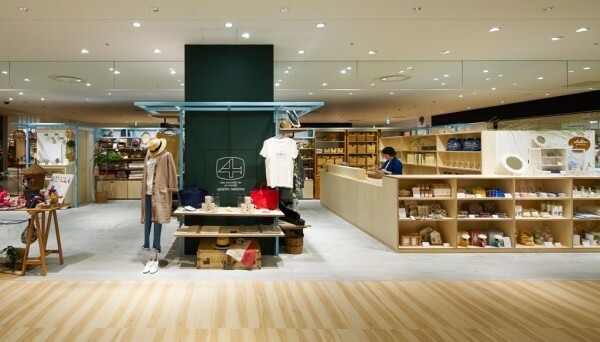 As the brand name suggests, the "workshop" esthetic is expressed in "atelier quatre saisons'" use of plain plywood as display shelves mounted on a light sky blue steel framework. While the two-tone chalkboard paint on the central column provides accent colors, it can also serve to enact seasonal displays. 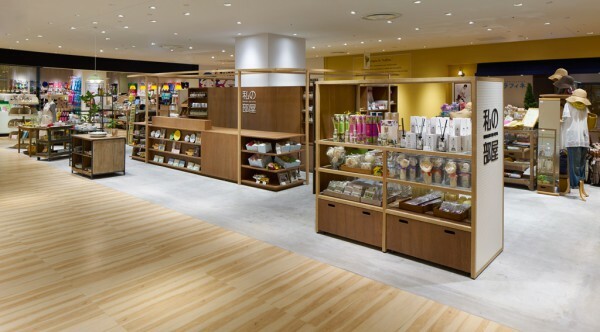 We sought to create a store where customers can handle products on display in a natural way in a relaxed at-home setting as an extension of everyday life, while simultaneously enjoying the out of the ordinary excitement that a commercial space can provide.